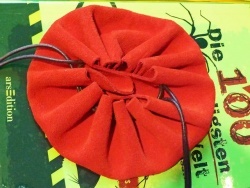 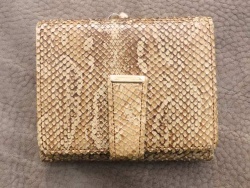 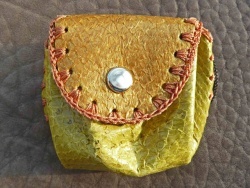 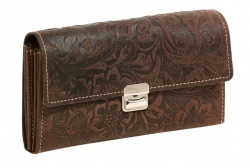 No matter what you call it, wallet, purse, money bag or coin pocket, usually this accessory is made of leather. 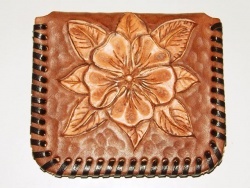 Money that you carry with you is often kept in leather. 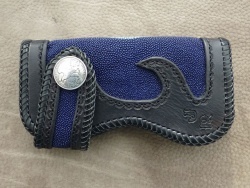 Suede and leather of a viper. 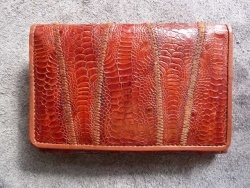 Wallets made of salmon leather and sturgeon leather. 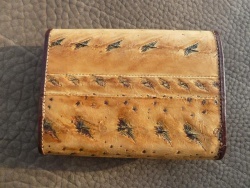 Wallets made of shark leather and chicken leg leather. 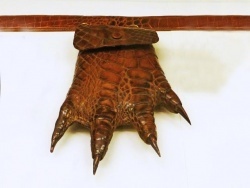 Wallet and bumbag from the crocodile-paw. 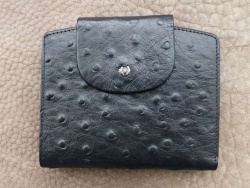 Wallet with ostrich leather-embossing. 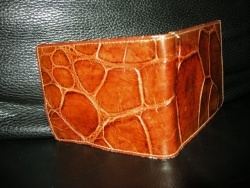 - Wallet made of imitation leather. 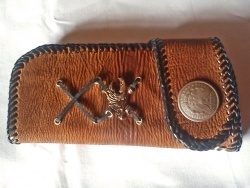 Carved wallet from www.centruldepiele.ro. 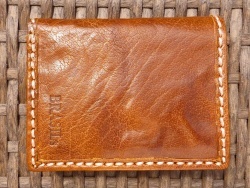 - Coarse grained and coarse-pore leather wallet. 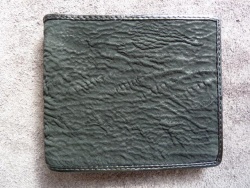 Embossed leather wallet for waiter from www.leas-leder.de. 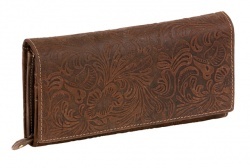 Biker wallets are, as the name suggests, wallets designed for motorcyclists. 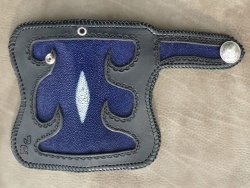 They have an eyelet for a safety chain to protect the property. 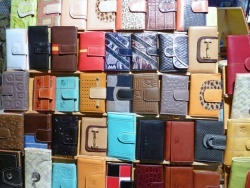 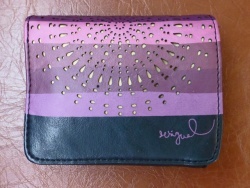 Typically such wallets have a striking, visual closure which remains visible and the wallet is about one third the size of the pocket. 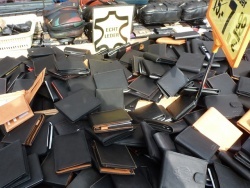 Biker Wallets made of stingray leather from bikerwallets.de. 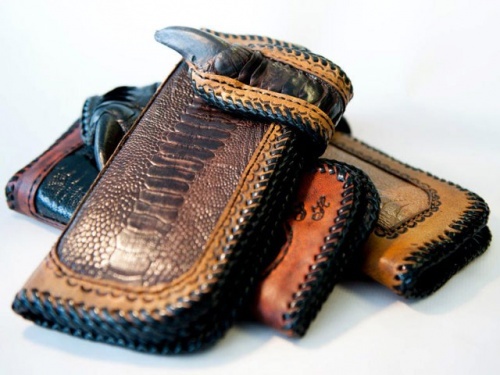 Biker Wallets made of ostrich leather from bikerwallets.de. 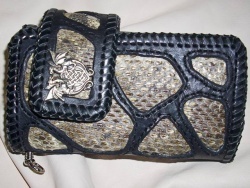 Biker Wallets made of shark leather and of leather of the rattlesnake from bikerwallets.de.